1st Place for 12yrs Jazz at Ipswich .. 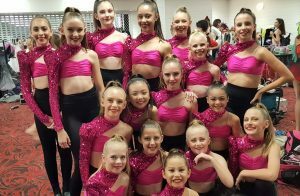 Recently we travelled to Ipswich for our first Academy Dance Studios eisteddfod of 2018 ..
We were so proud of our dancer’s performances at this competition, they represented ADS with style, technique and grace. Congratulations to our 12yrs group, who were awarded 1st Place for their jazz routine. Term 1 Just around the corner ….